Streets of Rage 4 is shaping up to be a bombastic mixture of nostalgia and beat-'em-up goodness, and its latest teaser trailer confirms it. Lizardcube and Guard Crush Games have put together a fantastic retro-licious trailer for Streets of Rage 4 that brings together everything we love about games from the '80s and '90s that cull a bunch of dudes together and let them beat each other up. The new trailer shows off protagonists Axel and Blaze, as well as a series of additional enemies. There's an abundance of neon, ill-fitting clothes, bandanas, and other sweet new looks that you've got to see in action. 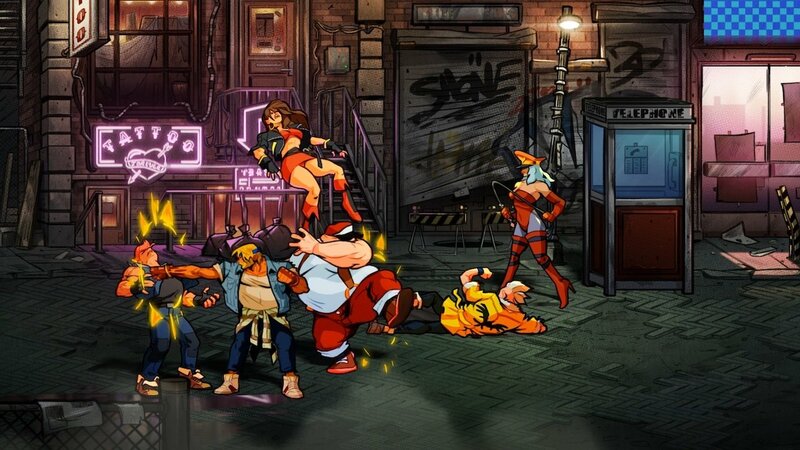 Previously, Streets of Rage 4 was announced last August, with a quick tweet bringing the news to the masses. There's a new bad guy on the run, too, and we'll be seeing a lot more of him soon enough. As far as any additional details on the game or what it may offer in the future, we don't know just yet. Streets of Rage 4 is an exciting return to a classic franchise though, and we know DotEmu knows their remakes and reboots well. The future is looking bright for this particular action title, and we can't wait to see what it has to offer.